I have written dozens of articles emphasizing the countless health benefits of glutathione (GSH) and here is another to add to the list. 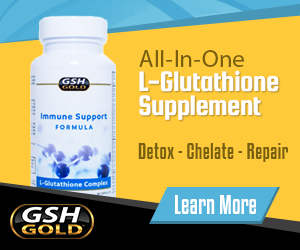 The importance of supplementing GSH levels with a high quality L-glutathione supplement cannot be overstated. We will explore some of the benefits of supplementing GSH levels and what it means to your health and well-being. Grabbing a glutathione supplement off the shelf is a bit of a gamble, you really need to look close at the ingredient list and ensure you are picking the very best GSH supplement. A lot more goes into a quality supplement than just glutathione, even the form of glutathione makes a huge difference. Look for supplements using Reduced Glutathione (L-glutathione), Liposomal Glutathione or Acetyl Glutathione. The above forms of GSH are the most bioavailable, meaning the body will readily absorb them and effectively boost glutathione levels. Supplements that use “glutathione” are probably using the cheaper, non-reduced form of GSH which yields little to no benefit. Beyond the correct form of glutathione itself, it is crucial to find a GSH complex that contains other nutrients that can boost the body’s natural ability to synthesize glutathione and recycle it once it is in its oxidized form. The methylation process is key for the production and recycling of GSH in the body, a process which many people have trouble with due to a gene mutation known as MTHFR. Considering the methylation pathways are vital for a wide variety of bodily processes, it makes supporting these pathways extremely important. A quality glutathione complex will not only contain a bioavailable form of GSH, it should also contain the precursors to help produce glutathione naturally. Some of the nutrients capable of increasing GSH levels include N Acetylcysteine (NAC), Alpha Lipoic Acid (ALA), Milk Thistle, B Vitamins (L-methylfolate, Methylcobalamin), Vitamin E (mixed or alpha-tocopherols), Magnesium and Selenium. The above are some of the most important ingredients to look for, but other additions like Vitamin D3, Vitamin C and Ubiquinol CoQ10 are also beneficial to incorporate into your supplement regimen to improve cellular function and glutathione synthesis. Now that we have covered what all a “quality glutathione supplement” entails, let’s explore some of the benefits of effectively increasing GSH levels. Glutathione is keystone for our immune system, when GSH levels are low, so is our immunity. By boosting GSH levels you are increasing your body’s ability to fight off infection and illness. Everyone is concerned with aging, we want to stay young and vibrant for as long as possible. 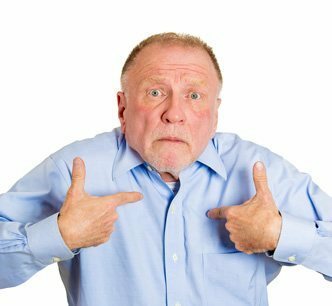 Well, aging may be inevitable, but feeling old is very preventable. Free radicals and oxidative damage are some of the leading causes of aging. They damage our cells and bog down our body, leaving us feeling tired, old and generally unhealthy. They also contribute to the many undesirable cosmetic changes that we associate with old age. Good thing there is a solution to help eliminate free radicals and help prevent their formation, here is a hint, it begins with G.
Inflammation is deadly, pure and simple. It is considered to be a leading cause of virtually every disease we know of. Yes it is a natural and even healthy immune response, but when it persists longer than necessary it can lead to severe health problems and chronic pain. Individuals with chronic inflammatory problems like rheumatoid arthritis, asthma and psoriasis can relieve the symptoms and pain with anti-inflammatories. Chelating heavy metals is absolutely vital to our health, especially as we age. We absorb heavy metals each and every day, through the water we drink, foods we eat and even from amalgam fillings and antiperspirant deodorants. Minimizing your exposure to these toxic metals can be helpful, but avoiding them altogether is almost impossible. The problem is compounded by the fact that our body is not equipped with the necessary tools to chelate all of these heavy metals, meaning they stick around and accumulate year after year. This is a contributing factor to many neurological and cognitive disorders as well as damaged cellular function. With ample glutathione levels, the body is capable of excreting these heavy metals from the body, relieving the stress and damage they cause to our cells. 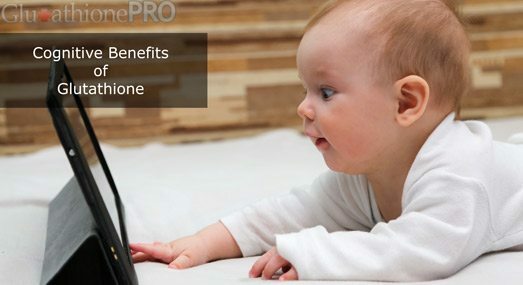 If you can couple glutathione supplementation with healthy lifestyle choices that minimize toxic heavy metal exposure, you can dramatically improve cognitive and neurological development and function throughout the aging process. The antioxidant benefits of glutathione are extraordinary, this is why it has earned the title of the body’s “Master Antioxidant”. Found in every cell, glutathione scours our body for toxins, free radicals and heavy metals that pose a threat to our health and well-being. Acting like a magnet, it gathers up all of these harmful substances and expels them from the body. In its active or reduced form, GSH acts as a powerful antioxidant, once used up or oxidized, it begins the recycling process. The efficiency of this recycling process determines the ratio between reduced and oxidized GSH in the body. The more reduced glutathione in your system the better, it is an indication of low cellular toxicity levels and a strong immune function. Because glutathione is heavily involved in the detoxification of our body, it is no surprise that it is found in its highest concentrations in the liver; the body’s most important detoxifying organ. Glutathione is also closely linked to liver health and function, when GSH levels are high, the workload put on the liver is reduced and it has a chance to repair itself. This helps reduce liver inflammation which is the cause of liver cirrhosis and impaired liver function. Many people have compromised liver health due to poor diet, lifestyle choices and the constant toxic bombardment threatening our health everyday. Supporting liver health is one of the most beneficial things anyone could do for their health. Reducing body toxicity and supporting immune health. Heavy metals and free radicals cause severe damage to our brain, and they are particularly difficult to get rid of. This is due to the highly selective permeability of the blood brain barrier. There are only a select number of antioxidants capable of passing through the blood brain barrier to detoxify and repair the brain. Increasing the availability of these antioxidants can help provide the brain with the tools necessary to repair the damage done as well as prevent further damage. Heavy metals pose a particularly high threat to our cognitive health and function. Accumulating in the brain over years of exposure and causing severe damage to the surrounding brain cells. 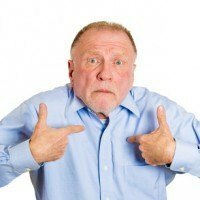 This can lead to the progression of cognitive disorders such as dementia, Alzheimer’s disease and numerous other issues. As a premier anti-aging antioxidant, glutathione is widely used to help fight the signs of aging. 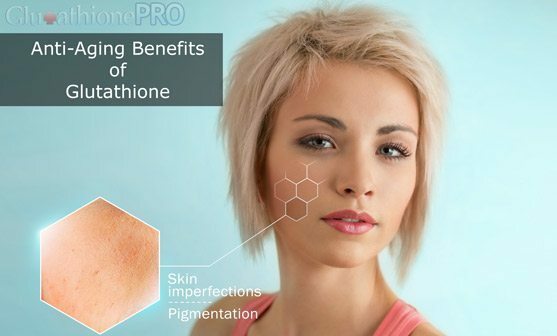 Used both topically in glutathione creams as well as orally ingested in pill or capsule form, glutathione can yield immense skin health benefits. Our skin is the first line of defence against infection and disease, this is why it has such a high concentration of antioxidants compared to deeper tissue. Subsequently, when our health is compromised the health and appearance of our skin suffers. This is why free radicals and oxidative damage are the biggest threats to young, healthy looking skin. The above benefits are remarkable, and they are only a small piece of the countless benefits of glutathione. This is why glutathione has been the subject of over 115,000 medical studies, all exploring the plethora of profound health benefits it has to offer.